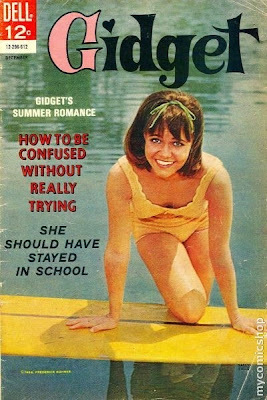 My obsession with Gidget (particularly Sally Field's incarnation) continues to grow. 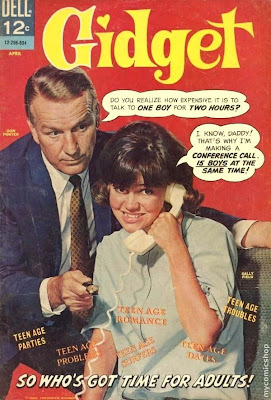 I've just come across Gidget comics on ebay! I wish I could own a copy. Apparently, there were only 2 issues ever produced - both in 1966 and both currently up for sale on ebay. The seller for the April issue has included an intriguing advert found within. 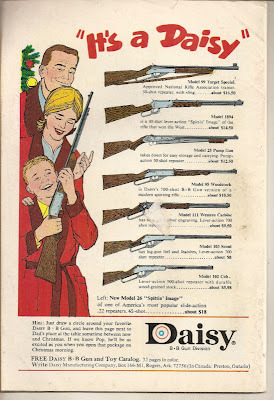 Not sure how popular BB guns were with teenage (or preteen) girls in the 60s but there seems to have been some kind of market. You can buy this gem here. They started a nation-wide channel on US TV called Antenna TV, and they show a lot of old reruns, Gidget is one of them! Gee, maybe you can watch it online too? Check and find out! Sally Field was...and still is...as cute as a button. As for the BB gun thing, I can only say that I wasn't interested in them in 1966. I was quite the outdoorsy teenager, but by that time, I was doing target practice with rifles...not BB guns. I was in my last year of high school in 1966 in rural Texas where hunting was popular, so I'd go out to shoot with my boyfriend...but left the killing of defenseless animals to others. If you're not careful, you'll put an eye out with one of those things!